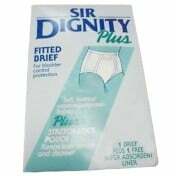 Dignity Mens Boxer Shorts are designed for discreet protection. 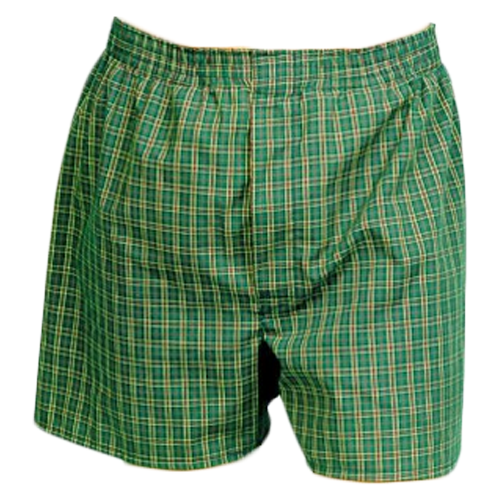 These Men's Boxer Shorts from Hartmann USA look and feel like regular boxer shorts--no one would suspect you were wearing a protective garment. Constructed with a floating protective underwear support, Dignity Mens Boxer Shorts accommodates many types of pads, both contour and linear shaped. (see. ThinSerts or Briefmates Guards) The protective barrier of these boxer shorts contains a leakage lock for assured protection. 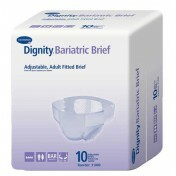 Featuring a stretch elastic waist, these Dignity Boxer Shorts have a fly front and special soft floating pad support. Machine wash and dry. Attractive plaid color, 60% cotton 40% polyester fabric, for comfort and breathability. Do these boxers have a fly for normal use, but is there also some sort of pocket for a pad? 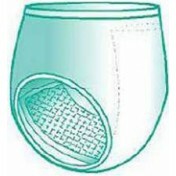 The boxers can accommodate any type of pad in the front or back. It has a low absorption level; however, so it should not be relied on to take in a full discharge of fluid. These do have an open fly front. The concept of the boxers is excellent, but I have had to re-attach the pouches because they were not sewn in with enough of a seam in the back to hold up through frequent washes. PLEASE check with the manufacturer to see if they can correct this. I am glad that someone finally thought of the men, like my husband, who do not like wearing briefs. He no longer resists using protection. My husband wines he had not postponed using your products. He has no more concerns about leakage and embarrassment.